I couldn't have predicted so many jewelry posts. What can I say? I get on kicks. 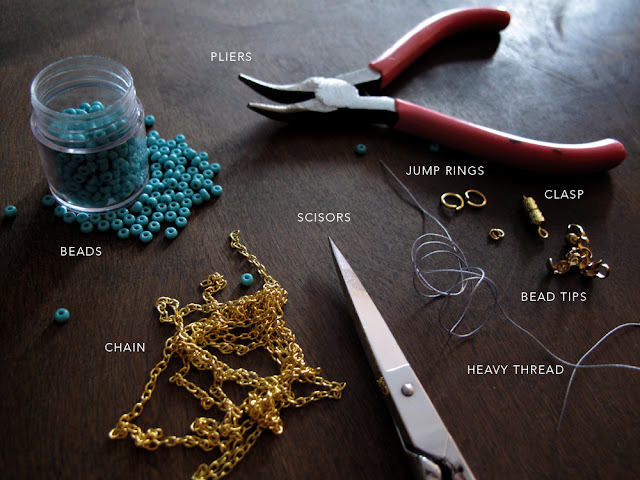 I saw a necklace like this in a store but it was shorterand the braid contained different kinds of beads. I wanted it longer with one type of bead. 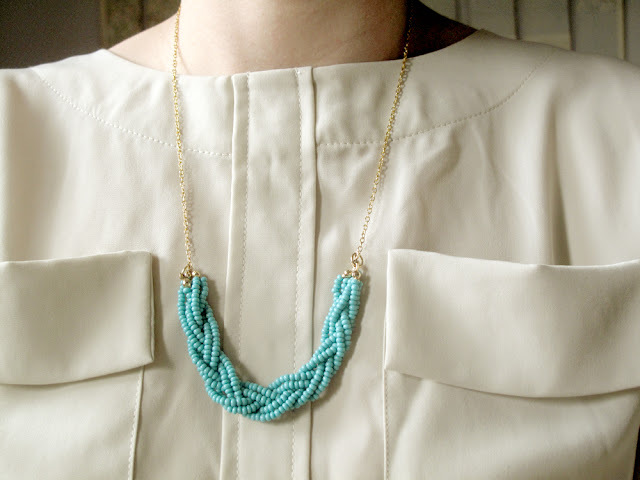 Tada, the braided bead necklace.